Listen without judgment or distractions to absorb what is being said. How often have you had a conversation with someone, and thought you were paying attention to him or her, only to realize shortly afterwards that you can't remember what he said? Or, perhaps you got distracted while he was speaking and missed the message that he was trying to deliver. In today's busy world, it can be hard to shut out distractions such as noise and electronic devices, and our own thoughts or reactions can draw us away from a conversation. So, how can we listen more effectively? When we listen "mindfully," we can be aware of these barriers and still remain open to the speaker's ideas and messages. So, in this article, we explore mindful listening and suggest simple ways you can use this technique to improve your listening skills. In his 1994 book, 'Wherever You Go, There You Are,' Jon Kabat-Zinn, professor of medicine emeritus at the University of Massachusetts Medical School, says mindfulness means "paying attention in a particular way, on purpose, in the present moment, and nonjudgmentally." Mindfulness encourages you to be aware of the present moment, and to let go of distractions and your physical and emotional reactions to what people say to you. When you're not mindful, you can be distracted by your own thoughts and worries, and fail to see and hear what other people are doing and saying. 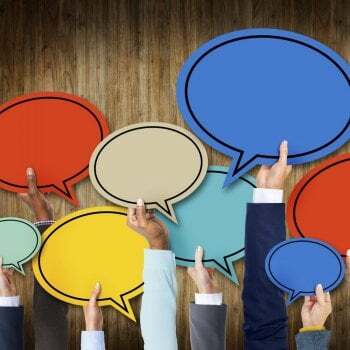 Communication expert Rebecca Shafir suggests that the average person can remember only 25 percent of what someone has said, just a few minutes after a conversation. The goal of mindful listening is to silence the internal noise of your own thoughts, so that you can hear the whole message, and so that the speaker feels understood. should be on the person you are listening to, without distractions. So, how do you do that? Simplify your surroundings: workplaces are full of distractions like phones, computers, printers, and electronic devices. Keep your workspace tidy and mute your devices. , such as deep breathing and muscle relaxation, before the conversation. is a way of practicing mindfulness and can be an excellent way of learning how to focus on the moment. When you empty your mind of "clutter," you can make room for other people's points of view. Meditation is like many other exercises – the more you do it, the better at it you will become. It can be difficult to find time in a busy schedule for meditation, but even five or 10 minutes a day can help. 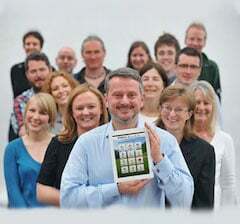 , describes a number of strategies you can use to develop this skill. For example, you can validate her perspective by acknowledging her opinion. It doesn't mean you have to agree with her, just that you accept she has a different perspective from you. 3. Listening to your own "cues." According to Scott, our cues are the thoughts, feelings and physical reactions that we have when we feel anxious or angry, and they can block out ideas and perspectives that we're uncomfortable with. Mindful listening can help us to be more aware of our cues, and allow us to choose not to let them block communication. The rule is straightforward: simply "Listen!" Listen carefully and attentively. Pay complete attention to the other person, and don't let other thoughts – like what you are going to say next – distract you. What Are the Benefits of Mindful Listening? , which provides a checklist of actions to follow but doesn't necessarily prompt you, the listener, to monitor thoughts, feelings or reactions that might affect what you hear. Instead, mindful listening can help you to become aware of distractions so you can refocus and listen consciously. Pause before you speak so that you can consider the effect of your words. : TV, radio, traffic noise, telephones, laptops, and so on, which can make it difficult to listen with our full attention. Furthermore, when we do listen, we tend to act on "autopilot," nodding and agreeing without really hearing the meaning of the words. We might interrupt, dominate the conversation, or think of what we're going to say next while the other person is talking. We can also be quick to judge, criticize and contradict people if their opinions don't match our own. can also make you focus on yourself. 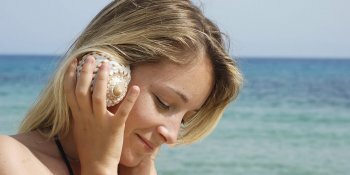 Mindful listening is a way of listening without judgment, criticism or interruption, while being aware of internal thoughts and reactions that may get in the way of people communicating with you effectively. When you listen mindfully, you are fully present in the moment, which means you can absorb the speaker's whole message, and he can feel heard and respected. By being present, cultivating empathy, and listening to your own cues, you can learn to let go of reactions and other distractions that block your understanding, so that you remain open and receptive to other people's ideas. You can use mindful listening to improve your communication skills in your personal life. For example, practice it in the next three conversations you have with family members. Being self aware is important part of communication. While mindful listening does take practice and persistence, the benefits far outweigh the effort it takes to learn how to do it. Thank you for your feedback on the article. Shafir, R.Z. (2012). 'The Zen of Listening: Mindful Communication in the Age of Distraction,' Wheaton, IL: Quest Books. Kabat-Zinn, J. (1994). 'Wherever You Go, There You Are: Mindfulness Meditation in Everyday Life,' New York: Hyperion.